For a miner of any size just having a fantastic, high grade orebody in the ground is not enough to give real value to your company. A big deposit with grade will give the company a theoretical value but if it cannot be extracted efficiently and cost effectively in a form that is saleable on the market then it will remain a theoretical value. Australian company Mineral Technologies prides itself on a track record of converting projects from theoretical value to certain value. 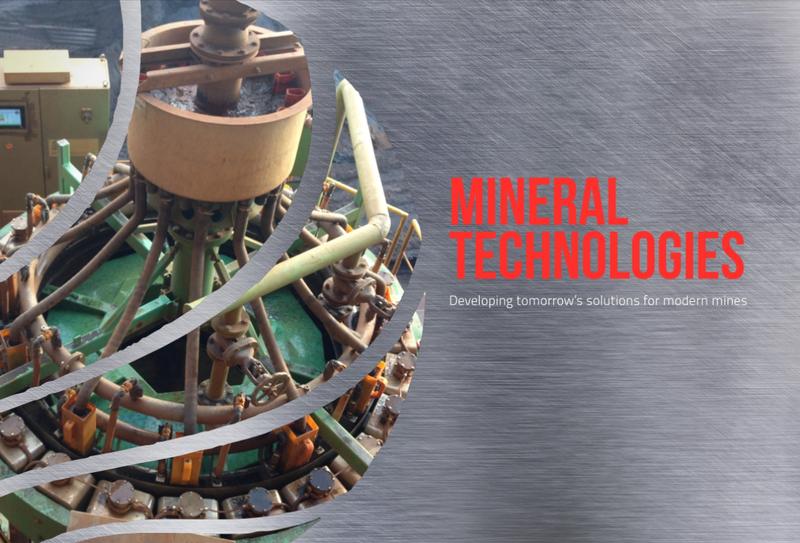 Providing life cycle services for mines from metallurgy to plant design and incorporating new technology to stay ahead of the competition, Mineral Technologies has proven itself as a best in class mining services and technology company operating on major projects across the globe. The business itself was formed in the 1940s as a sand miner on the beaches of Eastern Australia. Over the last 75 years it has developed into the technology and mining expertise business that we see today. Mineral Technologies has now been owned by Australian infrastructure giant Downer for the last 17 years. The engineering and mineral processing business has built up a wealth of experience and expertise in the physical separation of fine minerals, specifically using gravity, electrostatic and magnetic differences to separate specific minerals to a customers’ brief. However, the company has far more in its armoury than mineral processing, as general manager Ken Roberts outlines. “We have our own product range of equipment that we developed when we were a mining company, we used to build our own plants so we have an engineering capability, a laboratory capability and we still retain all those skills today as we go on developing solutions. The work Mineral Technologies undertakes for its customers in its core capabilities; metallurgy, plant design, equipment selection, process auditing and bespoke solutions, is critical when it comes to progressing mining projects. Roberts describes the work as giving confidence and certainty to the project as an investment – markets can see how much it is worth, whether it can be extracted and what the final product will look like from the plant. The company is extremely confident in the quality of the service it offers with performance guarantees backed up by financial and operational commitments. Roberts says the reason he is happy to offer performance guarantees is once the project has been worked through in the laboratory on production size equipment, the whole team is very confident of the outcomes for the process or plant on site. A problem projects often face using multiple contractors is the loss of knowledge and application from the laboratory to the final process. Mineral Technologies provides a wide range of services across the project lifecycle which Roberts says has cost saving benefits but also the quality of the work is better. “The real strength for us is that our metallurgists and engineers that work in the laboratory have started the process for the lifecycle and they are the people who end up on-site commissioning the plant and training the customers’ people in how to operate the plant. The Mineral Technologies model is fundamentally based on quality of delivery, cutting edge technology and pride in its work with customer service and loyalty front and centre in all areas. Roberts prides the company on the idea that it is not just an engineering business but also a technology developer. Mineral Technologies is striving to develop the next solution for its customers to improve efficiencies, timing and cost savings. The work of improving the separation equipment or finding new ways to produce the equipment is completed by the research and development team. The R&D team is tasked with finding new ways to apply manufacturing technology to keep the products price competitive. In addition, Mineral Technologies works with its customers to continually learn from each project, improve its service, and customise its offering for bespoke solutions. The latter has cemented Mineral Technologies’ reputation in the industry. “A new piece of equipment that we build can be customised to any particular customer’s project. It could lead to a small percentage increase in performance in the plant but in the case of a mining venture that can be a significant increase in the actual profitability in that mine because they often work on such tight margins,” outlines Roberts. “If you have an orebody in the ground you really only get one chance to extract as much as you can so with the economics of that process in mind we use the technology we develop to maximise the potential return for the customer. A global commodity downturn forced majors, juniors and mining services companies alike to revaluate their operations. The normally strong flow of capital had dried up thanks to lower profitability and therefore Mineral Technologies’ role also changed. Roberts explains that his focus became consolidating the relationships the company had with its long-term customers and looking at ways to reduce their costs to bring down the price per tonne of production. Instead of expanding or designing new plants Mineral Technologies was finding ways to optimise or diversify plants to get more out of the original process. “The technology aspect comes to the fore and that allows us to take our people from the lab phase and put them on site to find ways to get more out of the plants for the customer,” Roberts notes. This strategy served the company well. As the market began to ride the upcycle the customers for whom Mineral Technologies saved significant money during the worst times are now remembering Mineral Technologies as new work comes along. “We are seeing a lot of customers come back and want to do their next expansion with us because we stood by them and helped them survive the downturn and there is a lot of confidence to continue working with us. Now that prices are returning to the market and there is capital available to bring new projects online Roberts has his hands busy with full order books and a growth strategy set for the next few years. Firstly Mineral Technologies will continue to lead the market in mineral processing for its core business in mineral sands, iron and coal but it will diversify and expand into new areas such as gold and copper. The company announced a new non-exclusive global strategic alliance with Core Resources, a specialist hydro-metallurgical testing, process design and engineering firm based in Brisbane, to pursue new areas of business as well as move into end-to-end project solutions. Core Resources brings high end metallurgical smarts in the precious and base metals and industrial minerals commodities area combined with an expanding engineering plant design capability that is being built in Mineral Technologies. “We are stepping out of the process plant and into both the mine and tailings management as part of the broader scope of our portfolio. We are moving from just the process plant to the whole of mine solution space and we already have several early stage projects in development. Roberts and the team are not happy to sit back and admire the critical work they have completed on some of the world’s biggest mining projects, there is a determination to remain at the cutting edge of new technology and use that desire to show customers how much added value there is in their orebody. Keep your eyes peeled for where Mineral Technologies goes next.